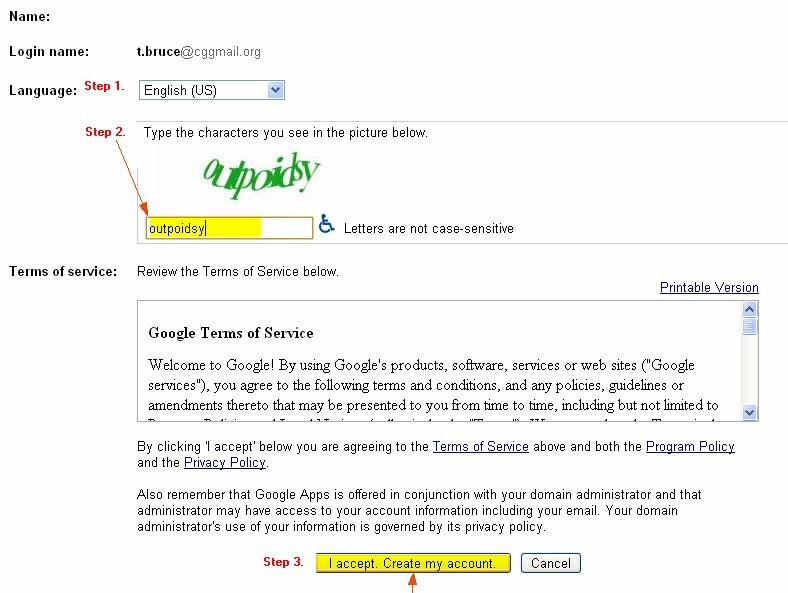 Please follow these steps to sign in to Google Apps on CGX 2.0 and configure your account successfully. Step 1: You can sign-in to CGX 2.0 from the http://www.cgxchange.org sign-in area on the home page. Step 2: Enter your network username and password and click on Send (or press the Enter key): write your CGIAR username without the dot (E.g. : tbruce). Signing in to a Google Site: have you received the link to a Google Site on cgxchange.org? See how to sign in to a Google Site on cgxchange.org. Google Account Sign-in screen: if you have received a link to a Google service, it is likely you will see a Google Account sign-in screen like this one. If so, users with a cgiar.org account (except from IRRI) should write their primary Google Account address. Which is your Google Account in CGIAR? 3. You will then be sent to the CGIAR Sign-in screen. Note: If you have any problems signing in, please check the Helpdesk Support options. Step 4: Start using the CGX 2.0 collaboration tools! Once you have signed in, you will see the entry page of the application you have just logged in to. At the top of the page, locate the Apps icon and click on it to display the apps navigation bar. Click on the icon of the app you wish to use: Google Plus, Calendar, Drive, Sites, Groups, etc. IMPORTANT: Please note that Mail is there only for allowing you to receive sharing notifications. The official mail standard of the CGIAR Centers is MS Exchange and Outlook, and this account is only for you to take advantage of the collaboration tools. When you're finished using the tools, we strongly encourage you to sign out of Google Apps at the end of each session to protect the security of your session and information. To do this, locate your account icon, click on it (1) and then on Sign out (2). You will see the sign-in screen: remember you will always have to re-enter your username and password when you return to CGX 2.0.